This was our latest competition so far, made in Spain, with my friends from Barcelona. 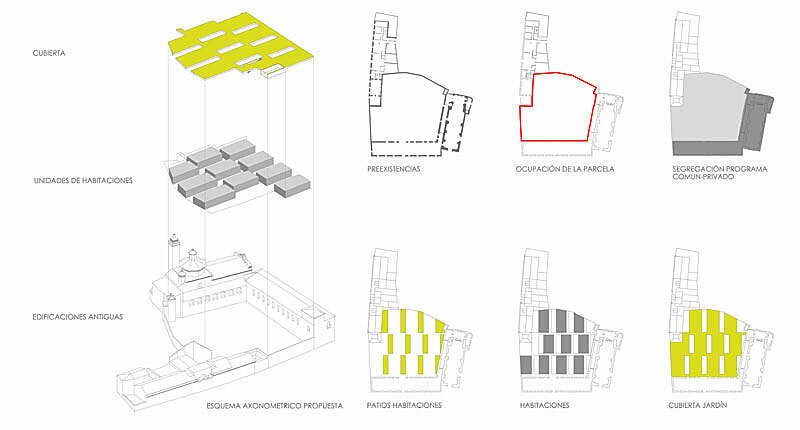 It was a competition for some kind of a rural hotel in Andalusia. We made it after the summer holiday in the beginning of September, all relaxed and with charged pills, we did it all in almost two weeks. We were happy about the result and about our cooperation, it worked well... After many deceptions of lost competitions witch lead to apathy and frustration, I felt like if it was my first-one and that was maybe the most positive thing. We fought well until the final, we finished in “top 10” among almost 70 studios, in one basket with some really good Spanish studios... We didn´t win, but we found out that we can compete with everybody. We´ll keep on trying and hopefully next time, we will go even further. YOU NEVER KNOW !!! 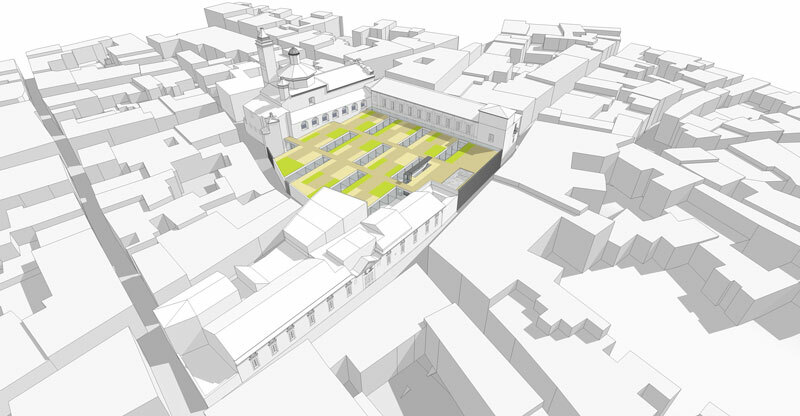 The site of the project is situated in the middle of the architectural complex of historic buildings in the Center of Fregenal de la Sierra. 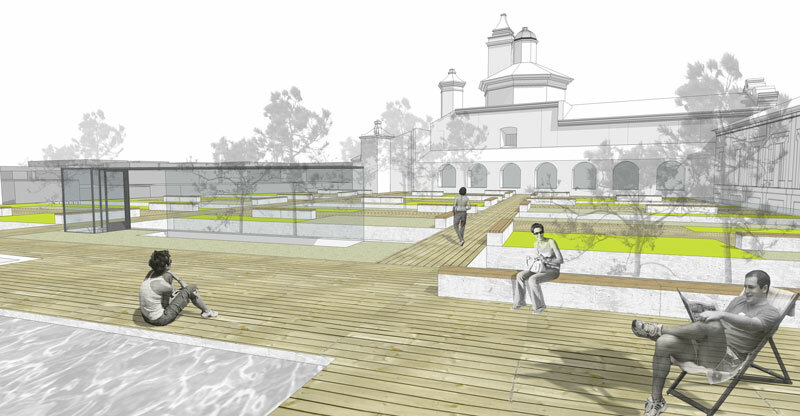 The project's strategy was to recover the duality of monastic building and the garden area attached to it. We tried to create a new program of the hotel under a big garden “blanket” with a contemporary architectural language, without modify the actual historic image of the complex. Therefore the new hotel building is hidden behind historic buildings, in the central garden. 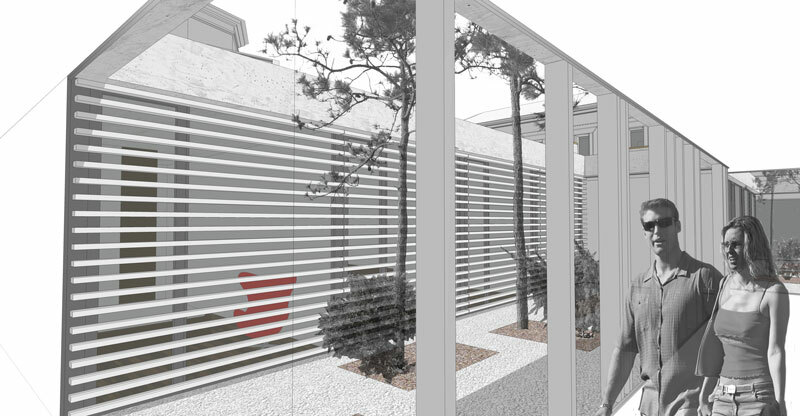 It consists of units-patios in regular raster and reflects the traditional architecture in the south of Spain /patio house/. 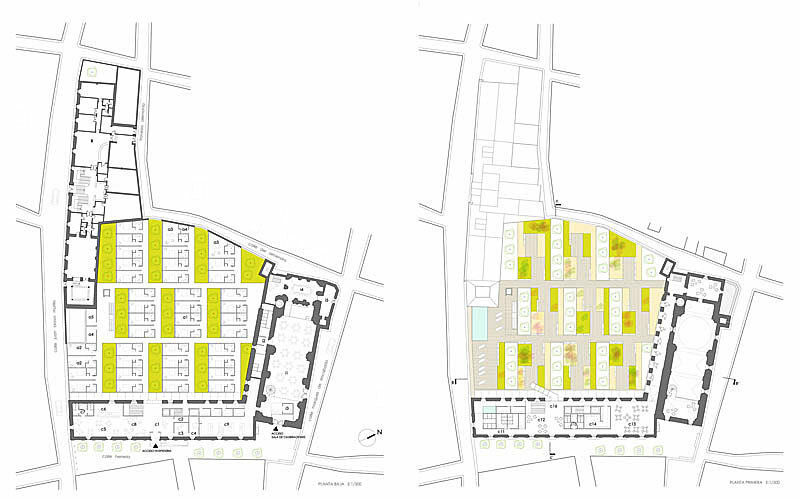 The hotel program is very clear and simple: old building contains public program and services, /restaurant, spa, ceremony space/, new buildings is private – for hotel guests: rooms, gardens, patios. In term of construction we proposed using local materials to reduce transport costs and promote the industry in the area. The energy strategy of the project focuses on optimizing the building's passive behavior in order to minimize environmental impact and energy demand. The project seeks the greatest possible savings of natural resources in the construction phase and during its lifetime. We proposed planting of native plants well adapted to local climate, allowing good water management.